Set in a London rising from the ruins of the Great Fire, Pleasing Mr Pepys is a vivid re-imagining of the events in Samuel Pepys’s Diary. Desperate to escape her domineering aunt, Deb Willet thinks the post of companion to well-respected Elisabeth Pepys is the answer to her prayers. But Samuel Pepys’s house is not as safe as it seems. An intelligent girl in Deb’s position has access to his government papers, and soon she becomes a target of flamboyant actress Abigail Williams, a spy for England’s enemies, the Dutch. Abigail is getting old and needs a younger accomplice. She blackmails Deb into stealing Pepys’s documents. Soon, the respectable life Deb longs for slides out of her grasp. Mr Pepys’s obsessive lust for his new maid increases precisely as Abigail and her sinister Dutch spymaster become more demanding. When Deb falls for handsome Jem Wells, a curate-in-training, she thinks things cannot possibly get worse. Until – not content with a few stolen papers – the Dutch want Mr Pepys’s Diary. 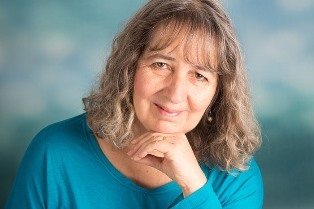 Deborah Swift is the author of three previous historical novels for adults, The Lady’s Slipper, The Gilded Lily, and A Divided Inheritance, all published by Macmillan/St Martin’s Press, as well as the Highway Trilogy for teens (and anyone young at heart!). Her first novel was shortlisted for the Impress prize for new novelists. She lives on the edge of the beautiful and literary English Lake District – a place made famous by the poets Wordsworth and Coleridge. For more information, please visit Deborah Swift's website. You can also find her on Facebook, Twitter, and Goodreads. During the Blog Tour we will be giving away a signed copy of Pleasing Mr. Pepys to one lucky winner! To enter, please enter via the Gleam form below. – Giveaway ends at 11:59pm EST on October 20th. You must be 18 or older to enter.